The purpose of life insurance is not to put some arbitrary “dollar value” on someone’s life but to provide you with the financial peace of mind knowing that your loved ones will not experience financial hardship should death occur. In August we focused on protecting your business by utilizing Key Person Life Insurance–now we shift the focus to protecting your home front. 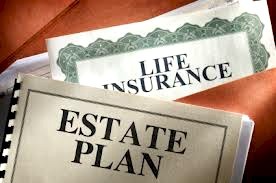 Before we go any further, please keep in mind that just because you have a life insurance policy, doesn’t necessarily mean that you’re “all set.” As you will discover in this post, there are many products and premium options that individuals do not realize are even available. Because your personal and financial obligations change from year to year, it is vital to take the time to review your life insurance needs to not only determine if your coverage limit is sufficient but that you have the right product for you. Many financial experts consider life insurance to be one of the most important purchases you’ll make in your lifetime. But how do you really know if you need it? Simple, just ask yourself: If I die today, would any of my loved ones suffer a financial hardship because I’m no longer here? If so, then chances are you need some type of life insurance policy. Fund College Education–particularly when young children are in the picture, life insurance can play a significant role in helping to fund future college costs. Leave an inheritance for heirs— policy owners are free to list multiple beneficiaries and at varying percentages. As you can see from the above list, life insurance proceeds may be utilized in a variety of strategic ways, all of which provide a tremendous help to those you care about. Most likely you have heard of the two types of life insurance available — Term Life Insurance and Permanent Life Insurance. As implied in its name, the term life insurance product covers a specified term (i.e. 10, 20, or 30 years). In order for the carrier to pay a death claim, the owner must have died within the term of the policy. It’s very common for individuals who have debt and children to purchase term because a large death benefit (i.e. $500,000) is more affordable with this type of insurance. Upon the end of the policy term, the policy may be renewed without a medical exam or converted to a Permanent Life policy if that better suits your needs at that time. Unlike a term policy, there is no fixed time period attached to permanent insurance. As long as your monthly premium payments are made, the policy is intended to continue. Also, by contrast, this type of insurance accumulates “cash value.” This occurs because a portion of your monthly premium is placed in a cash value account, which could be accessed while you are alive. How much of a death benefit do my survivors need? Approximately how long do I need the coverage? To help you gain a better understanding of which type of insurance might be right for you, review this interactive product selector which is designed to walk you through the decision-making process. What determines the cost of life insurance? Age – Your age at the date of the application is a key factor in policy pricing. Health History – It’s a fact that Individuals are declined coverage due to health issues. Because underwriters are charged with the task of minimizing their insurance company’s risk, they look to make sure that you are relatively healthy. Bottom line – the healthier and younger you are, the better! That’s a fair question, but not properly worded. Instead, it should read: How much life insurance do my loved ones need? We already discussed the various ways death benefit proceeds may be of assistance to beneficiaries, but what exactly is the rationale between getting a $200,000 policy versus a $2,000,000 policy? To be fair, without a personal analysis of your current and future financial obligations and your current and projected income, there is no fixed answer to that question. Many financial experts speak in general terms of having 7-10x your annual income and up to 15x your income if you have children. In other words, if you were married with no kids and earned $50,000, a good ballpark insurance estimate would be $350,000 – $500,000. This life insurance needs calculator is an excellent tool to help you determine your specific needs. Purchasing and holding a life insurance policy should not be taken lightly. Due to the fact that there are a variety of product types, and coverage options, it’s wise to seek an objective analysis on your insurance needs. Afterall, this is a significant financial decision for both you and those you love.